The traditional parent dance of the dad dancing with his daughter can be an emotional one. 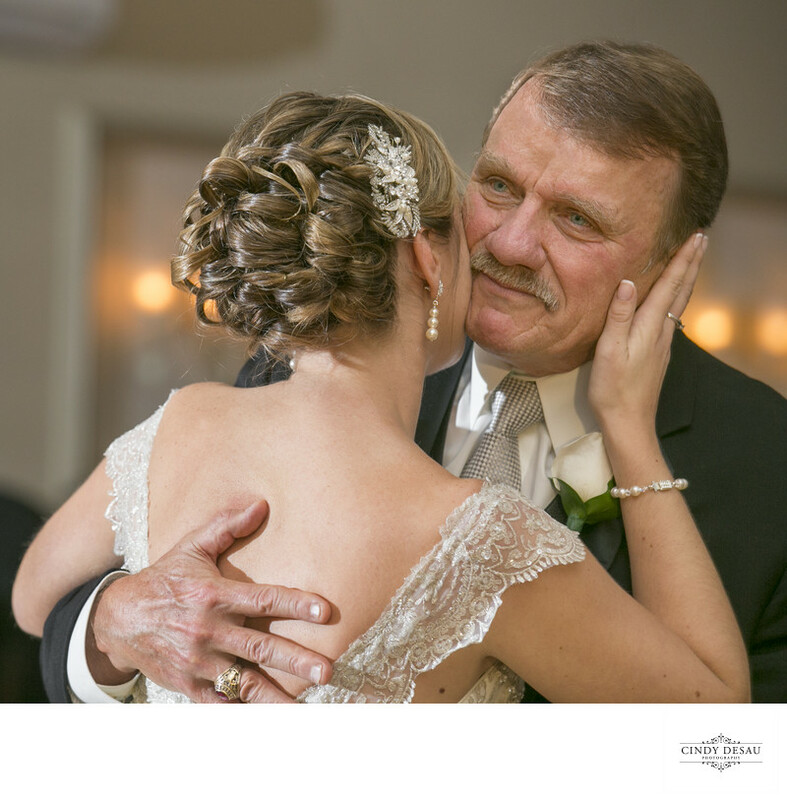 I think this photograph is beautiful in conveying the love this dad feels for his daughter, now a bride. The bride seems to feel his emotions as she tenderly touches his cheek. I’m sure both are thinking of memories of growing up, as both start a new chapter in their lives.